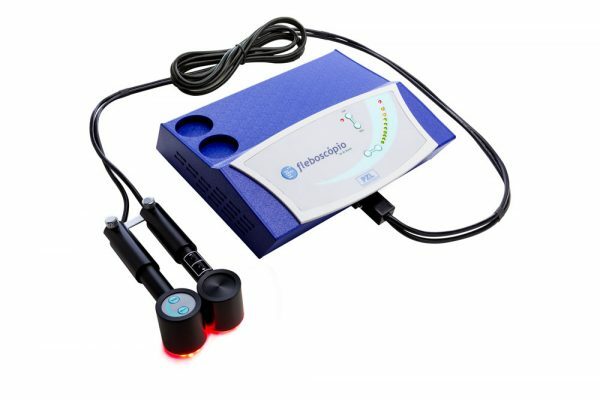 PZL Phleboscope is a high-quality equipment designed to assist vascular medicine professionals in visualizing and identifying blood vessels under the skin. With two sources of ultra-bright LED, which operate in a wavelength specifically selected to be absorbed by the skin, PZL Phleboscope guarantees a contrast between the lights and blood vessels; ensuring that these vessels are seen in their full dimensions. This facilitates the preoperative mapping of varicose veins and the diagnosis of teleangiectasias combined with microvarices that are not identifiable with the naked eye. Click here to compare the PZL Workbench Phleboscope with the PZL Portable Phleboscope! Click here here to compare the PZL Workbench Phleboscope with the PZL Portable Phleboscope!